Henry James wrote Washington Square in 1881. It was based on a young actor aquaintance of his who married a wealthy young woman so that he could live the rest of his life in luxury. 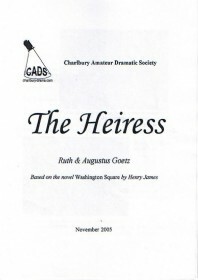 Washington Square was adapted into a play in 1946 as The Heiress. It had its first performance on Broadway in 1947 and instantly became one of the theatre's most famous father/daughter stories. It opened in the West End in 1949, directed by John Gielgud. 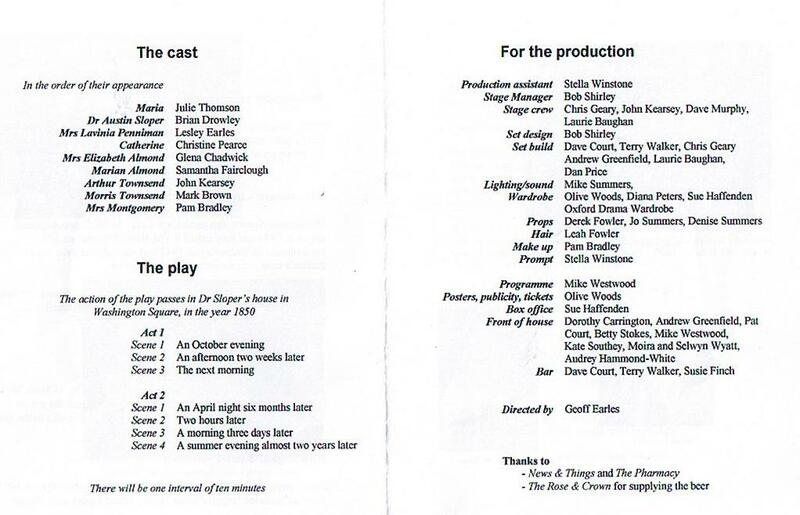 Ralph Richardson played Sloper, Peggy AShcroft was Catherine and Donald Sinden was Arthur Townsend. Date: Not on the programme! Does anyone know exact dates? 22 Photos. Click thumbnail images to enlarge.